The Hutchinson Griffus is the first product from the Hutchinson Racing Lab. We sent George Thompson to find out all about it. 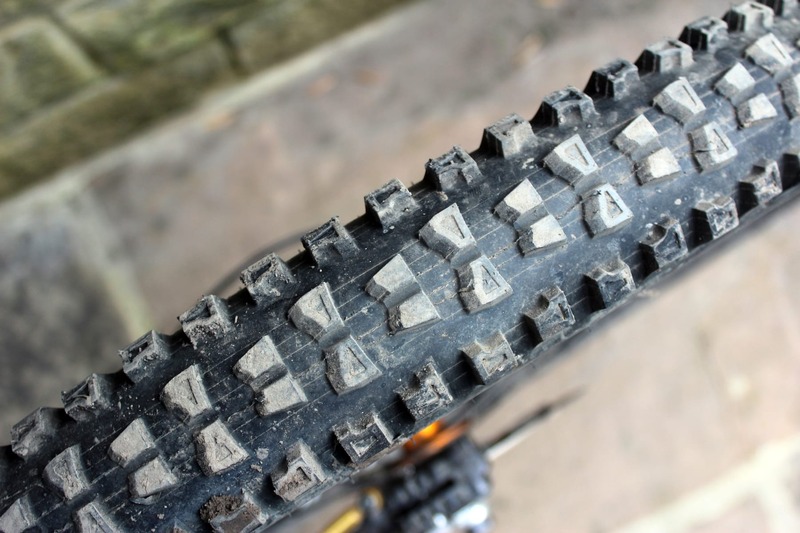 How do you break the Maxxis stranglehold on the UK MTB tyre market? 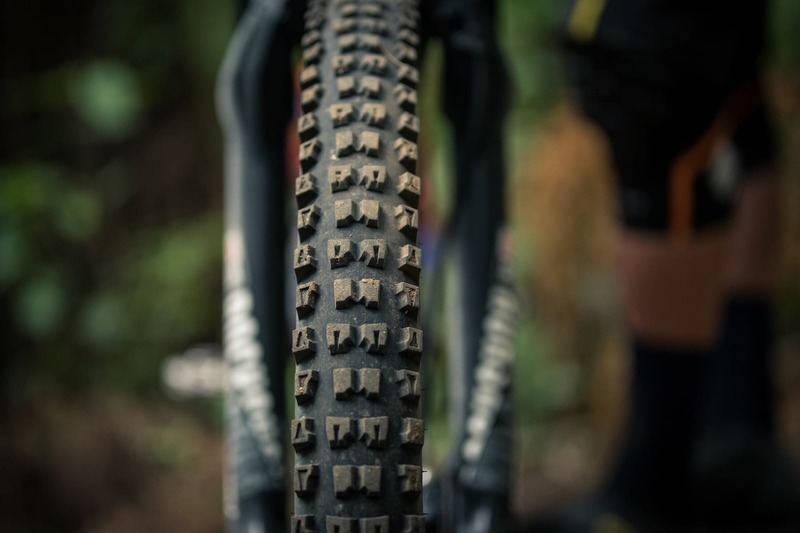 Schwalbe has come closest in recent times, and Pirelli and Michelin are also making a serious stab at it this year. Then of course there’s Continental, the Gwin-sponsoring Kenda, WTB and a host of other contenders. Add to that list Hutchinson. 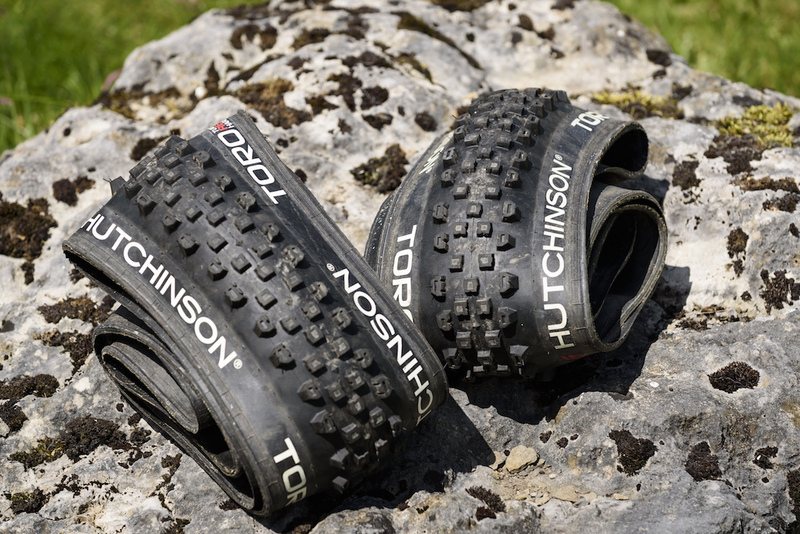 A well renowned brand on the continent and in particular on the road (during the Armstrong era, Discovery used Hutchinson Tubulars), but even Hutchinson will admit the company has rested on its laurels a bit in recent times (as is the French way!). But you can’t stand still nowadays, can you? The current Hutchinson range includes the Toro, Squale and the Taipan. 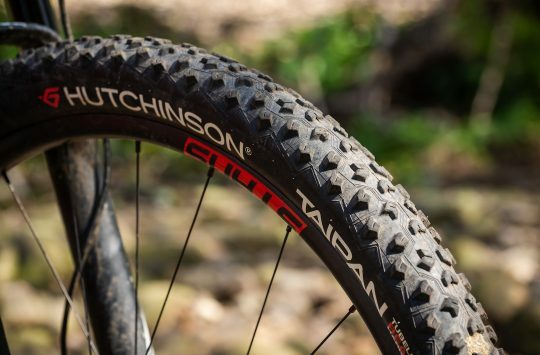 The crew at Singletrack has reviewed the Hutchinson Toro and the Hutchinson Taipan in the past, both of which have tested favourably. I must confess to only previously being aware of the Toro though. 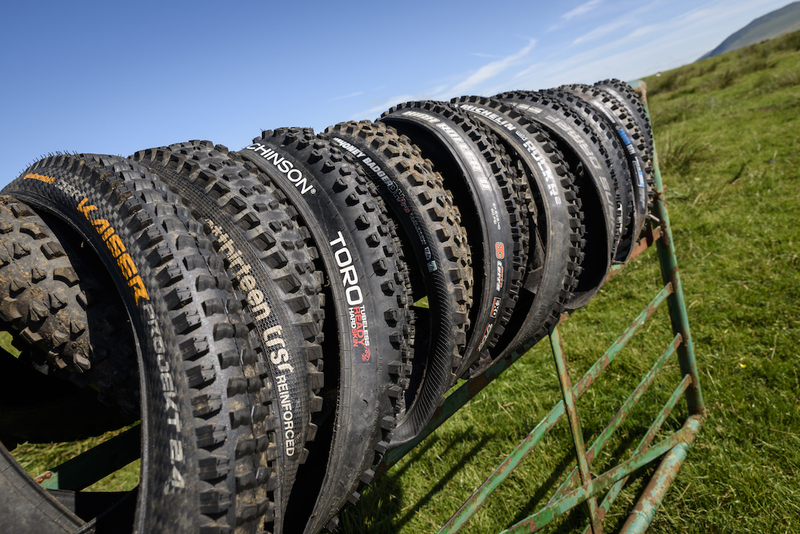 And a quick look at the CRC top sellers list reveals that none of them are in the top 150 MTB tyres so there’s work to do. The Griffus is the first product from the Hutchinson Racing Lab and no one can accuse the Frehcnies of resting on their laurels this time around. They’ve recruited some big hitters: Carson Storch, Adolf Silva, Reed Boggs and Remy Metailler, all of whom make up a good chunk of the Red Bull Rampage start list. 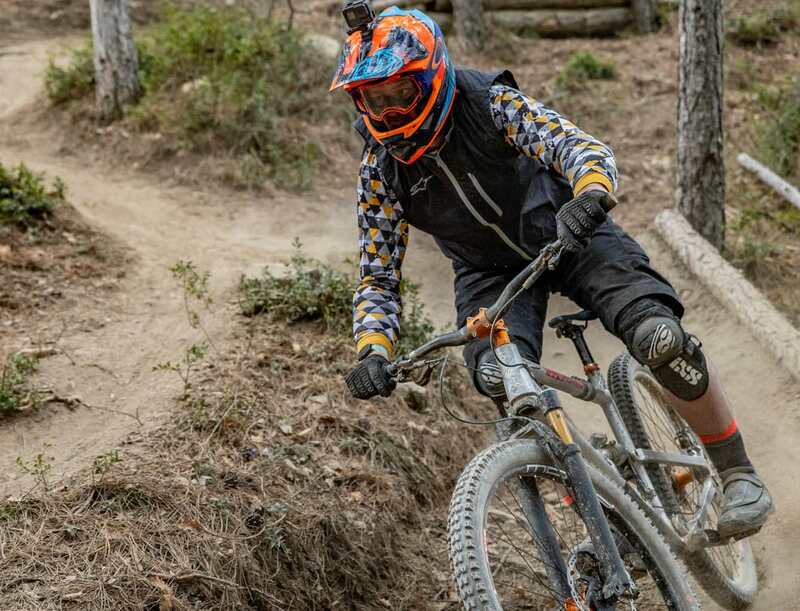 Then there’s Killian Bron, Nicolas Lau, Yoann Barelli, Cécile Ravanel and Isabeau Courdurier from the Enduro circuit, the latter having just piloted the Griffus to victory in the first two rounds of the 2019 EWS, so that’s not a bad start. Hannah invited me to attend the PressCamp for the launch under the remit that “you’re our gravity guy”, which is nice to know and also implied that there wouldn’t be much pedalling, which is good. It’s the first time I’ve been to one of these things and also the first time airport staff have ever found traces of PETN (Google it!) in my hand luggage. “How did you get here today?” “Where have you parked the van?” “When did you last clean the van?” It felt like I was in a scene from Homeland at one point but I made it on to the flight with seconds to spare. Being 6’6” and 17 stone it was decided that I would bring my own bike with me. I don’t know if this was because they couldn’t find me a hire bike big enough or fear of what my bulk might do to it if they did. 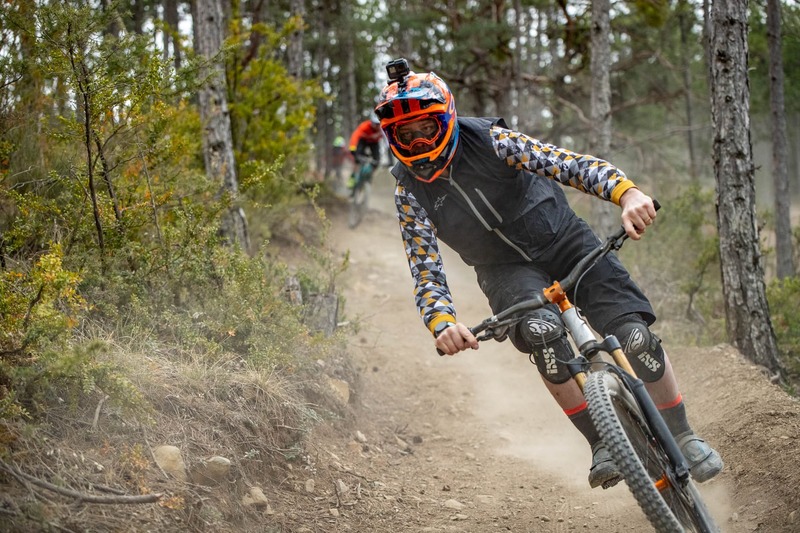 I was going to take the DH bike but I switched to the trail bike (a Geometron G15) when it became apparent that the DH bike wouldn’t fit in my bike bag without a huge amount of faffing at either end; a consequence of the recent conversion to 29in and longer chainstays. When I arrived at a Chateau just outside Marseille the presentation was almost finished although I did get to see Isabeau talk: “The Toro is good, but I need faster” she says. So, let’s have some facts. 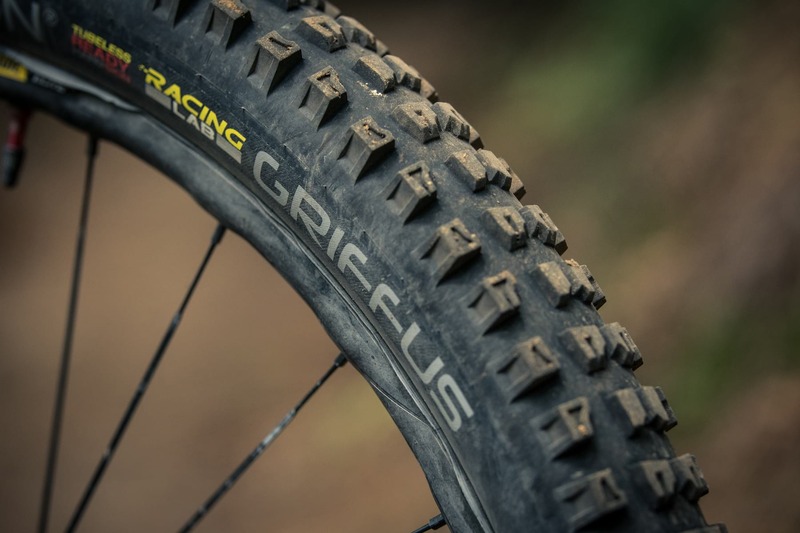 Well, the Griffus is a tyre that’s aimed at going fast in hard pack / dry conditions. 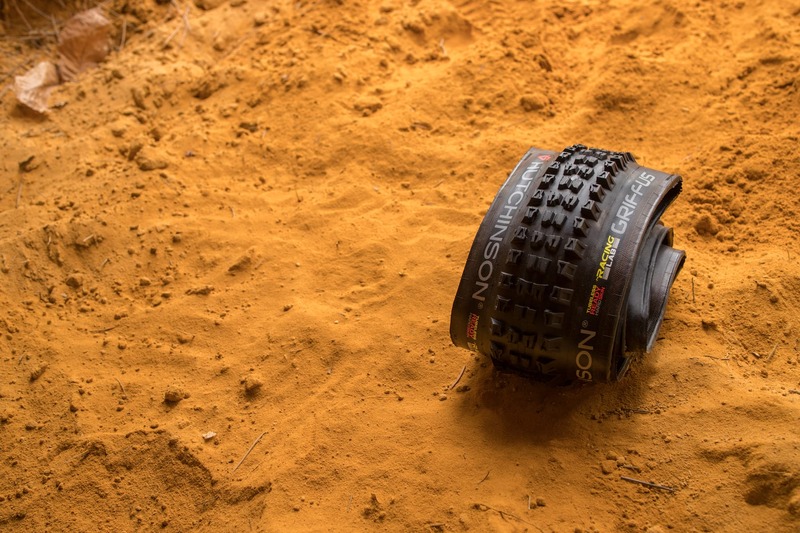 It’s available in both 29in and 27.5in sizes, is tubeless ready as you would expect, and has a claimed weight ranging from 900g – 1100g. There’s a different front and rear and they both have a definite direction. The front is 2.5in wide, the rear a 2.4in wide. There’s a Hardskin reinforcement layer and a 66TPI casing which Hutchinson claim is “the perfect balance between resistance and weight”. “It’s all about the compound” World Cup racer Adam Brayton said to me recently. To that end, the Griffus is constructed from Hutchinson’s new RR (Race Ripost) Gravity Compound which is a triple-compound; 94 Sha at its foundation, 50 Sha in the centre and an even softer 40 Sha on the shoulders. Rear – after the ride. First impression? The front looks like a Minion DHF and the rear looks like a High Roller. This is a combination that I remember being tremendously popular a couple of summers ago and imitation is the greatest form of flattery, right? On closer inspection the main difference to the Minion DHF is that the two central knobs and the two side knobs are all in a row rather than being offset. This is something that you don’t see very often but it’s supposed to improve grip under braking. The side knobs are also hollowed out a bit to make them more flexible, again promoting grip. The rear is similar except it’s a bit narrower and the knobs are offset to make it faster rolling. George’s travel and accommodation were provided by Hutchinson. Ortlieb's New Atrack BP - Putting the backpack into bikepacking? Center and side knobs in the same line? That’s a big no-no in my book.